However, as this is a relatively new field and programs are starting all the time, individual CRPs may likely vary on key dimensions. University of Alabama Collegiate Recovery Community - ​Collegiate Recovery and Intervention Services (CRIS) provides a comprehensive continuum of care for students with substance use concerns. Services range from prevention, awareness, and exploration of consequences for high risk behaviors to a supportive, safe, and engaging environment that supports students seeking or contemplating recovery. 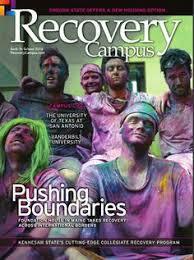 Association of Recovery in Higher Education - directory of all programs available here.